Cebu Pacific, the largest carrier in the Philippines, is all set for one of the country’s grandest festivals —Sinulog. The Sinulog is held in honor of the Santo Niño de Cebu. While the annual Sinulog in the Queen City of the South features colorful street dancing, its essence is all about prayer, thanksgiving and celebration of Roman Catholicism and the Christian faith of Filipinos. 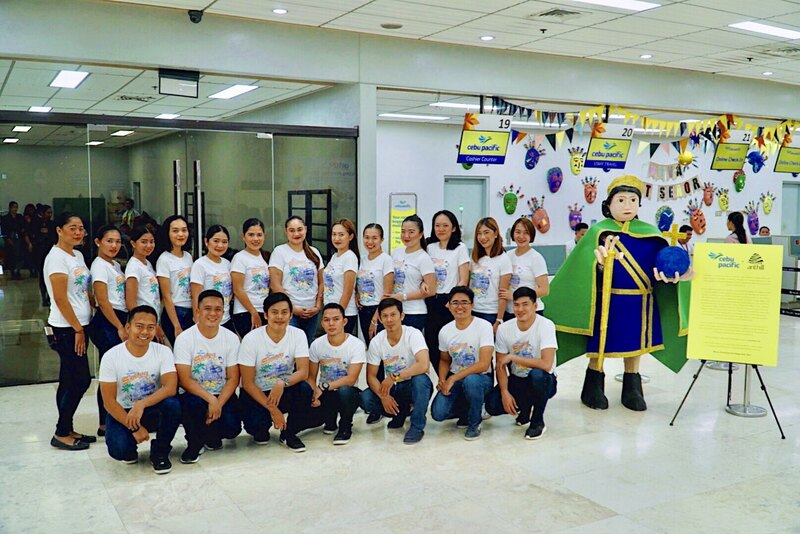 Cebu Pacific kicked-off Sinulog 2019 with colorful décor at its check-in counters at the Mactan Cebu International Airport—its largest hub in VisMin. A collaboration with social and cultural enterprise Alternative Nest and Trading/Training Hub for Ingenious/Indigenous Little Livelihood Seekers (ANTHILL), the Sinulog décor features colorful tribal masks and ‘Pit Senyor’ signages made from scrap materials such as discarded fabric and manufacturing waste. Life-size statues of Sto Nino made of recycled materials are prominently displayed at the airport’s check-in hall to give travelers a feel of the festival. Tickets to the 2019 Sinulog Beach Festival are available through the Klook app. For as low as P500, get a Sinulog Beach Festival Barkada Bundle, which includes complimentary shuttle services between Cebu Mandaue, and Mactan Island.